The Territory’s Transport Workers Union says drivers stopped work for 24 hours on Monday morning after their demands went unheard for too long. The union's branch secretary Ray Wyatt said there is the possibility of further industrial action. “We met (yesterday) with 75 per cent of the bus operators on their day off. They are in good spirit and they are determined to get their message out there in their quest to get fair, safe paying conditions,” Mr Wyatt said. A private company had to be brought in to minimise disruption at peak hours. 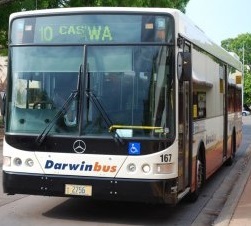 Northern Territory Minister for Transport Peter Styles says they will do it again in the case of more strikes. “My understanding is that there is some strike action for the third of October, that's in the morning and again, and I'm sure the Department of Transport will be working very hard to ensure the public are impacted on as little as possible,” Mr Styles said. Reports say some of the private company drivers brought in also agreed with their colleagues on the strike, but were strongly pressured into filling the gaps.